The presentation was led by Jordan Weisman, chair of the Pearl International Committee, and Andrea Johnson, GE executive director. The discussion of collaboration in Nicaragua was part of a multi-faceted “new year assembly” for Pearl Rotarians to discuss their goals. GE has a 20-year record of working with communities around the world to improve life in local communities, including Bolivia, Columbia, Ecuador, Malaysian Borneo, Myanmar, Peru, and the Philippines. It forms partnerships with other non-profits to advance such environmental issues as new water quality standards, water treatment design, chlorine concentration, and solar power. Nicaragua is a natural site for village solutions to troubling social conditions. It has a long, continuing history of political conflict. Poverty is severe; the Population Reference Bureau estimates per capita income in 2018 was $5680, compared with $60,200 in the United States. GE reports that more than 1.3 million Nicaraguans (in a population of 6.3 million) lack access to electricity. The Pearl-GE project would primarily involve improving the water and sanitation facilities for a community of 150 families in the northern part of Nicaragua, near the border with Honduras. A positive feature of the possible project is a supportive Rotary chapter in Managua, the capital and major city. GE already has experience in Nicaragua in encouraging improved water supply and electrification. The project would involve joint financing between GE and Rotary. 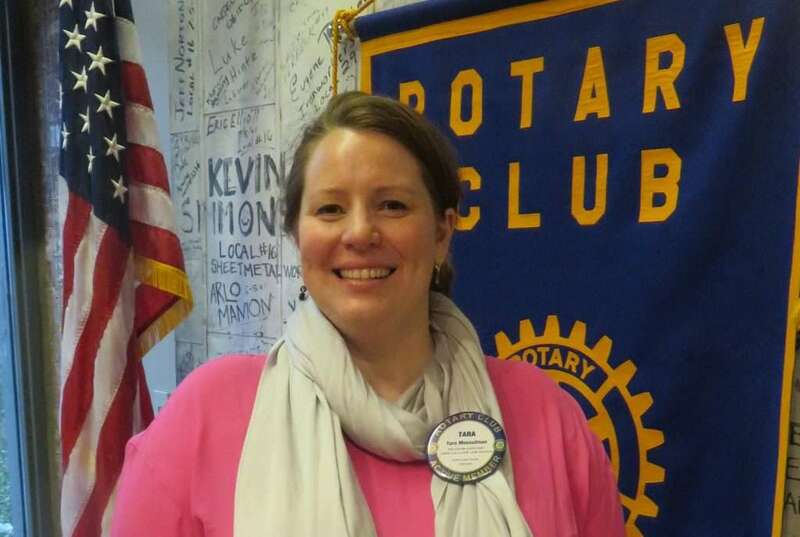 Andrea was quite positive about the potential of the project, noting that her organization and Rotary “share many of the same values.” Rotary support would have to be drawn from a Rotary Global grant and from the large number of Rotary chapters in the northwestern part of Oregon. Specific plans for the project seem to depend on the availability of funding. A completed proposal for funds is expected during the coming year. The United Nations honors six Rotary People of Action: Champions of Peace at Rotary Day at the United Nations, Geneva, Switzerland, 10 November 2017. 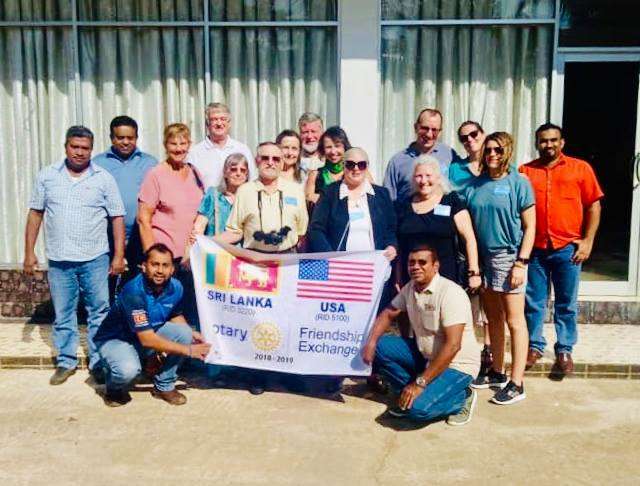 These Rotary members and Rotary Peace Center alumni are all involved in projects that address underlying causes of conflict, including poverty, inequality, ethnic tension, lack of access to education, or unequal distribution of resources. 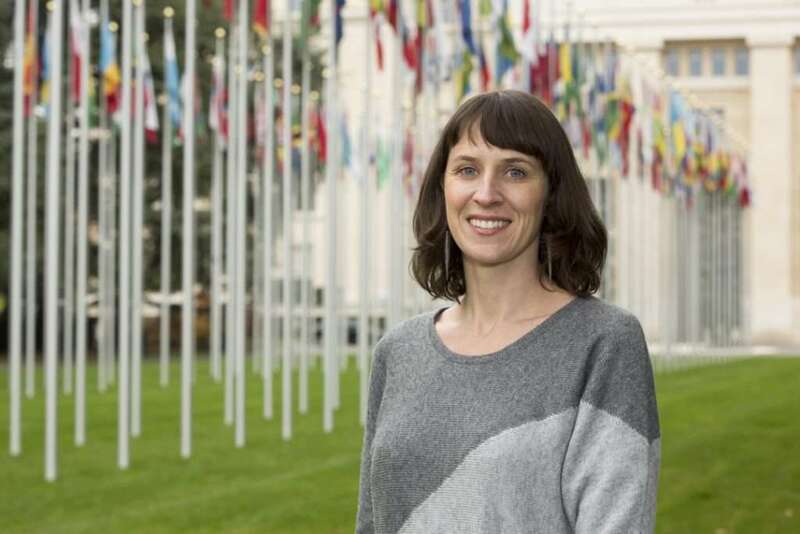 Thanks to generous support from Rotarians all over Oregon, my husband, Brodie, and I were able to attend Rotary Day at the Geneva United Nations in November. We were invited so that I could receive one Rotary International’s People of Action: Champion of Peace awards. Each year, Rotary presents six People of Action awards during Rotary Day at the United Nations and focuses on a different theme each year. This year was the first time Rotary held the event in Geneva rather than New York, and the first time that Rotary included peace fellows (two of us!) as awardees. After sleeping off our jet lag, our first day in Geneva was spent at the United Nations, where we were given a historical tour and an intensive public speaking training. Fellow Peace Fellow Kiran Singh Sirah and I finished the day at a dinner with top donors to Rotary’s peace initiative, and I enjoyed the opportunity to chat with RI President Ian Riseley and his wife, Juliet. The following day kicked off the Rotary Day event. We were broken up into three different groups to give presentations in three separate UN meeting halls, so I was not able to hear presentations by most of the other awardees and only my workshop was live-streamed. UN representatives who spoke on our panels placed considerable emphasis on the importance of inclusion, which was very validating because our SWaCH project is a perfect example of socially and economically inclusive development. 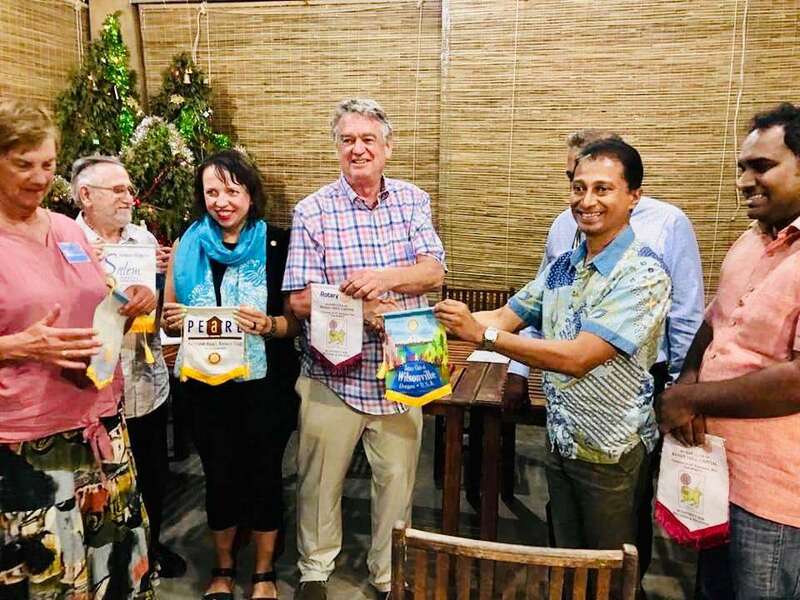 That night, Rotary held a celebratory dinner, and we had the chance to socialize more with the other awardees and their spouses. I have since been in conversation with the other Champions of Peace to discuss how we all might collaborate on projects in the future. Many thanks for your support in getting us to Geneva. It has planted many new seeds for peace-building, and it meant a lot to be honored for our SWaCH waste picker project [in Pune, India]. 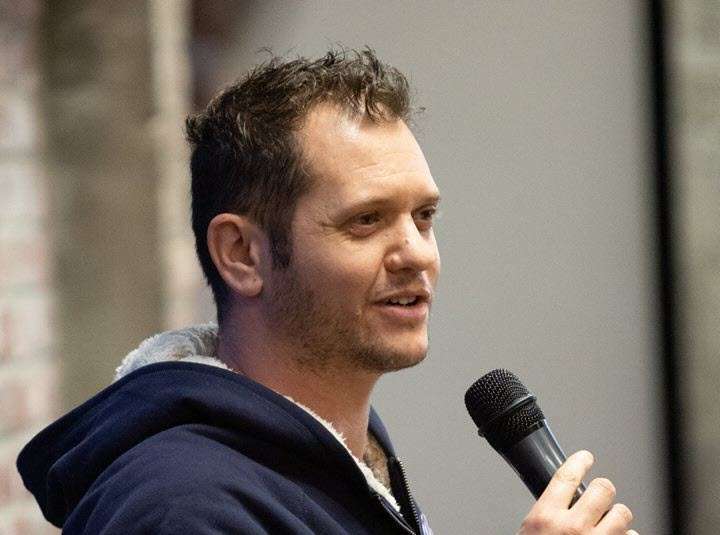 Celebration of the United National International Day of Peace (Sept. 21) included an announcement that Taylor Stevenson, Portland Pearl Rotary’s first Peace Scholar, has been named a Rotary International Peace Champion. Taylor is one of six global champions being honored Nov. 11 on Rotary Day at the United Nations in Geneva, Switzerland. The event honors those who make a positive difference in their community, their country and around the globe. Taylor will be honored and will celebrate with current RI President Ian Riseley, RI directors, foundation trustees, leaders from the United Nations and renowned humanitarians. Taylor developed a Rotary Foundations global grant to improve sanitary conditions for waste collectors in Pune, India. Waste collectors together handle 20 tons of unwrapped sanitary waste every day. Stevenson collaborated with SWaCH, a waste-collector cooperative, to create the “Red Dot” campaign, which calls for people to wrap their sanitary waste in newspaper or bags and mark it with a red dot. This helps waste collectors identify sanitary waste and handle it accordingly. Stevenson developed all the educational imaging for the campaign. She also secured in-kind offerings of support, including free training space and campaign printing. 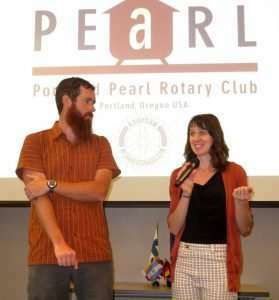 We are proud and honored to support Taylor in her peace-building work and that Portland Pearl Rotary and District 5100 are able to be a part of it. Taylor would like to extend her gratitude to Portland, Pearl Rotary, Anne Oneill, District Governor Renee Campbell, and Past District Governor Michael Caruso. 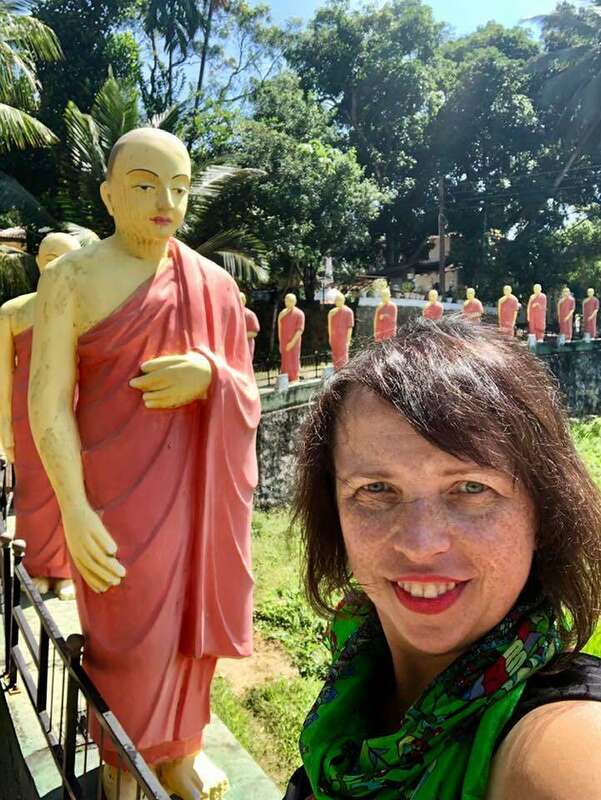 We look forward in hearing Taylor’s latest updates on the Pune waste pickers' project when she speaks to Pearl Rotary on Tuesday, Oct 3. Let’s get Taylor and Brodie to Geneva! We are beyond excited that Taylor has received this very distinguished honor from Rotary International and United Nations. We have informed Taylor that as a Rotary club and with some assistance from District 5100, we would pay for all of Taylor and Brodie’s (Taylor’s husband) air and ground transportation from Portland to Geneva, Rotary International already has housing taken care of. Our goal is to raise $2,318. We have a nice start of $380 [through Sept. 27]. Taylor and I are able to accept cash and checks made out to Taylor Stevenson. Additionally, I will be attending the peace-builder club meeting in October to also try and solicit funds from them, as well as District 5100. This February Sunbridge Solar packed their bags and headed for a once in a lifetime trip to Colombia and the Amazon to work on two different solar projects. Before leaving, even contemplating a project in the Amazon invoked a mixed sense of concern and excitement. And Colombia itself still had many of us worried with visions of abductions and cocaine trading. We arrived late at night greeted with Colombia hats and a giant Colombia flag by our ever-jubilant partners and guides, Natalia Gomez and Edwin Lasso, owners of the recently formed Solosolar. The streets after midnight in Bogota on a Sunday are completely deserted. Literally completely deserted, as in zero people…which is slightly unnerving for a city of 10 million. We started our first project early the next morning, so much for recuperation time. We arrived at Foundacion San Mauricio, an orphanage that is home to 1,200 kids ranging in age from 2-18. There are very few solar arrays in Bogota so to install a 12-panel system is a pretty big deal. The roof was a challenge. It was made of some kind of reinforced papier mache/asbestos mix. In fact, while trying to retrieve a Frisbee for one of the kids, one of our guys stepped in the wrong place and fell straight through the roof. Luckily, he was okay although the poor kid who asked him to get the Frisbee felt pretty terrible. After some creative efforts and way too many hours spent visiting dozens of electrical supply houses in Bogota, we completed the job. Of course, the best part of the job had little to do with the actual installation work. Every lunch we got to eat with the kids and practice our terrible Spanish, and then run around and play with them afterwards. This system cost about $5,000 in material cost which Sunbridge Solar donated along with all of the labor. The energy saved equates to around $1,200 per year which is enough to support two more kids at the orphanage. Our next project was in Colombian Amazonas. To get there, you take a direct flight from Bogota to Leticia and the hour and a half flight takes you about a world away. From the mountains to the tropics, Leticia greeted us with its funky backpacker vibe and humidity. We stayed at Habitat Sur, an organization that wears many hats: non-profit supporting local indigenous communities, ecolodge and jungle tour operator. The lodge was incredible. My brother, Doug, was the lucky one to stay in a tree house cottage perched in the rainforest canopy. The toilet was guarded by a giant tarantula. The project site was a twenty-minute walk from the road side through the jungle to the indigenous community cultural center. The communities in this part of the Amazon have more or less been absorbed by Western society, so the cultural center worked to protect the language, customs and skills of the indigenous communities. They often meet at night with no light to conduct their meetings or classes. We were requested by the community who is partnered with Habitat Sur to install a small scale off-grid solar system comprised of three panels, four batteries and a small inverter. The cost of the system was $3,000. Before leaving I started a Gofundme campaign to cover these material costs. We surpassed our goal and raised $3,300 in four days, thanks in part to the generous contributions of six Rotarians who donated over $700 to the cause. We completed the system and finished with just enough time to enjoy an Amazon river cruise, which was undoubtedly the highlight of the trip. In a protected lake next to the Amazon we all jumped in the river as pink dolphins splashed around nearby. We celebrated our successful projects with our partners at Solosolar and know that this is just the beginning. I write this from my desk at Deltares (Delft, the Netherlands), where I have been working as an intern for the past 3-4 months. Deltares is a research/consulting institute that specializes in water resources worldwide under the government ministry, Rijkswaterstaat. As the title suggests, I am investigating how a river changes when reservoir sediment that have been impounded for many years is suddenly available to fluvial processes. This study extends to the impact on salmon habitat by using the 2007 Marmot Dam removal on the Sandy River as a case study. Although the study is based in Oregon, I am able to perform all work remotely by computer. I am making use of state of the art software and data centers to model the Sandy River over a longterm period (5 years). In the coming months I will have a final thesis report to share, complete with the model. The past four-month period has been a drastic contrast from my coursework at UNESCO-IHE. It’s been an experience to devote all time and energy into one project, but also difficult to not have as much time for family and friends. But of course, this is a lifetime struggle to balance. The initial year I sent you photos of travel and friends, and now I have substantial work to share…just last week (Feb 2-3), I participated in a conference hosted by the Netherlands Center for River Studies (NCR). Along with two colleagues from UNESCO-IHE, I presented my research to an audience of professionals, professors and students that also specialize in river studies. It was unique to share the story of Marmot Dam (and dam removal in general), which I believe to be an issue of great importance for the future. Once in a while I step back to reflect on what this experience has been and also what it will lead to. With all the angst, struggle and sadness present in the world, I believe we have a duty to reflect on where we stand. What I can say about living in Europe is that whether we like it or not, the United States is at the forefront of international attention. Furthermore, it’s extremely difficult to change someone’s opinion with conversation, social media or similar avenues. My personal outlook is that we can affect change by action. Action in the way of living through family values, reciprocating giving, and just being present in the community. On this note I would like to thank you all for your support. I’m constantly inspired by my surroundings at UNESCO-IHE, Deltares, and the Rotary network. Without knowing my exact future, I can say that what lies ahead will affect positive outcomes. For the fourth consecutive year, Pearl Rotary Club is funding girls scholarships at the Discovery School in Lubumbashi, Democratic Republic of Congo. A commemorative PPRC check was presented Jan. 31 to Rotarian Lou Radja who through his non-profit EduCongo here in Oregon supports the school his father manages. Two thousand students attend; Pearl Rotary's support--now in its fourth year--provides tuition, supplies and uniforms for 40 girls. International Service Director Alanna Miel (left) made the presentation, explaining that $4,000 was designated from the club's Pearl Fund and the additional $2,000 came from District 5100. Lou was gracious in his praise of his fellow Rotarians: "In an area where the average income is $2 per day, this is a big deal." 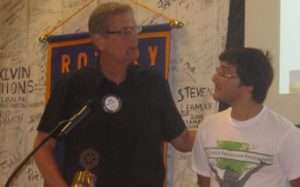 "No relationship can grow and flower without trust," proclaimed Cypriot teen Doruk before Pearl Rotarians July 21. Trust between two teens from opposite sides of the divided island "will forge bridges between our communities," he added. Doruk, pictured above with Rotarian/Cyprus Friendship Program Coordinator Jack Bradley, was one of 12 Cypriot peace-builders in OR/Southwest WA for a month through CFP. PPRC was among District 5100 clubs who supported CFP financially (and also provided host families--including Jack and his wife, Michelle). Another Cypriot, Anna, added: "Everybody wants peace; everyone wishes it would be a reality."